Tags: "Fleets of autonomous satellites to coordinate tasks among themselves", Applied Research & Technology ( 5,458 ), Earth Observation ( 456 ), For the cost of a multi-tonne satellite it is possibile to use groups of small satellites – even hundreds of them – to set up a sensor network., Horizon - The EU Research and Innovation Magazine, MiRAGE software, NetSat project Würzburg University and Centre for Telematics, Researchers are using automation and artificial intelligence to make smaller autonomous satellites smarter and more effective. Technology firms and researchers see scope for giving satellites more onboard control, to circumvent difficulties in communicating with Earth and reduce the need for continuous hands-on supervision and intervention from afar. That will reduce operating costs and potentially allow them to do more sophisticated tasks independently of their Earth-bound supervisors. Smaller, autonomous spacecraft could close the gaps in coverage between much larger, more expensive telecommunications satellites, or be used in formations to monitor space weather or observe Earth from different perspectives simultaneously – such as three-dimensional real-time analysis of clouds or monitoring volcanic plumes. In doing so, they would be able to correct and maintain their trajectory, avoid collisions and supervise their on-board systems all on their own – all at a substantially lower operating cost. Professor Klaus Schilling, chair of robotics and telematics at Würzburg University in Germany, has been working on the technology for groups of small, autonomous satellites to fly in formation, communicating directly with each other to organise and coordinate tasks. Success would mark a world first. For the cost of a multi-tonne satellite, he sees the possibility to use groups of small satellites – even hundreds of them – to set up a sensor network. The fleet would need more advanced coordination and control, but would be able to provide better temporal and spatial resolution than one giant craft. While miniaturisation can present difficulties for satellites, such as susceptibility to noise in electronic circuits, sophisticated software can detect and correct these problems and cooperation between small spacecraft can also enhance their capabilities, Prof. Schilling says. 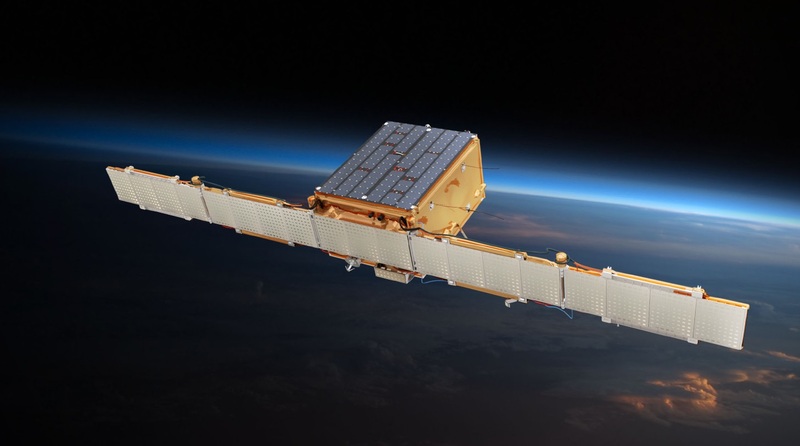 “This is even the case with a single satellite, but it becomes critical at the multi-satellite level, in the context of the formation,” said Prof. Schilling, who also heads the German research firm the Centre for Telematics. His NetSat project aims to launch four small satellites at the end of this year, to orbit the Earth and test formations with varying degrees of autonomy, with light-touch supervision from ground control. The satellites will be around 3 kilograms each – a mere fraction of the size of the biggest satellites – and will be placed in a low Earth orbit, about 600 kilometres above the surface. To date, Prof. Schilling and his team have used satellites already in orbit to develop and demonstrate systems for communication, positioning and orientation, and they are currently testing an electrical propulsion system for NetSat. The technology also incorporates two decades of learning from research into controlling formations of mobile robots, extending into three dimensions the swarm-like behaviour used to coordinate terrestrial rovers. The NetSat spacecraft will be able to coordinate with each other over distances from about 100 kilometres down to 10 metres, as well as change their formation depending on the tasks they need to perform. ‘For us it will be like having a laboratory in space, where we can do a lot of operation tests, a lot of control tests and a lot of sensor tests, which will help us for future missions,’ Prof. Schilling said. NetSat works by distributing computing power between satellites in a formation, but another approach under exploration is to use artificial intelligence (AI) to increase satellite autonomy. AI can make a satellite aware of its surroundings and decide autonomously when and how to carry out operational tasks, such as gathering images, analysing and processing them, and then selecting only the essential data for downloading to the Earth station. The aim could be to identify specific targets that can be monitored or tracked, perhaps a building or a ship or a vehicle on the surface of the Earth, or filtering out clouds to improve image quality. Such a satellite could also recognise new events that need monitoring or anomalies demanding action, says Dr Lorenzo Feruglio, founder and chief executive of Italian space-technology start-up AIKO, based in Turin. ‘In a sense you need to detect the conditions and what is happening and then you react to those conditions autonomously, using AI rather than traditional algorithms,’ Dr Feruglio said. He leads a project called MiRAGE, which is using AI tools such as deep learning to automate satellite operations. Such smart, AI-based on-board systems ensure the spacecraft can complete its tasks without the delays involved in awaiting new instructions or decisions from ground control, which can then focus on critical issues rather than routine tasks – with sharply reduced staffing levels and at much lower cost. The MiRAGE software, some of which has its roots in the functionality demanded by drones or autonomous cars, will be launched as an on-board experiment on a small satellite in the last quarter of this year, with a view to being rolled out on larger spacecraft in future. One of the aims is to demonstrate the adaptability of AI to different tasks and mission objectives – including the possibility of deep space exploration. ‘In general, AI and deep learning are proving their worth in many different industries and the benefits (for space missions) are way from being fully explored yet,’ Dr Feruglio added. Climate change and negligent forest management are causing higher-intensity, faster-moving fires that can generate enough energy to evolve into erratic firestorms, known as pyroCbs, in the face of which first responders can do little. “Traditionally we could predict the fire behaviour and the direction of the fire but under those conditions and those moments it’s not possible,” said Marc Castellnou, president of the Spanish independent wildfire prevention group Pau Costa Foundation. As a wildland fire analyst with the Catalan fire services, Castellnou reconstructs wildfires using simulations, satellite, on-the-ground and other data. While these fires are rare, when one strikes it can generate 100,000 kilowatts of energy per metre. In firefighting terms, this is 10 times what a firefighter can handle, but even at 4,000 kilowatts, firefighters cannot go near the flames and require aerial support. “The old way of fighting fires by sending firefighters – that’s gone,” Castellnou said. There have been signs of trouble since the 1990s, according to Castellnou. “This change has been cooking for a long time, but the first time we realised something wrong was happening were the years 2009 and 2012,” he said, referring to the Black Saturday bushfires in the Australian state of Victoria that killed 173 people and wildfires in Spain, Portugal, Chile and California, US. Many in the fire community initially thought these were just abnormal events, he says. But then wildfires in Chile and Portugal in 2017 indicated that those weren’t simply extreme years. “That was the new normal arriving. 2018 has confirmed that,” he said, referring to the deadly wildfires in Greece and in California. On October 15, 2017, Castellnou was in central Portugal to conduct analysis then support the local services as the wildfires became firestorms. “What I saw was the pace of the fires … You think: ‘Well that cannot be real.’ When you go there (and see the damage) you understand that that is the reality,” he said. Castellnou, who spoke about the future of fighting wildfires at the EU’s security research event in December 2018, first joined the Catalan fire and rescue services as a seasonal firefighter when he was a teenager. In the past, he says, a fire that destroyed 25,000 hectares a day was considered extreme. According to his figures, the October fires in Portugal consumed 220,000 hectares of forest, an area 22 times the size of Lisbon and killed more than 40 people. 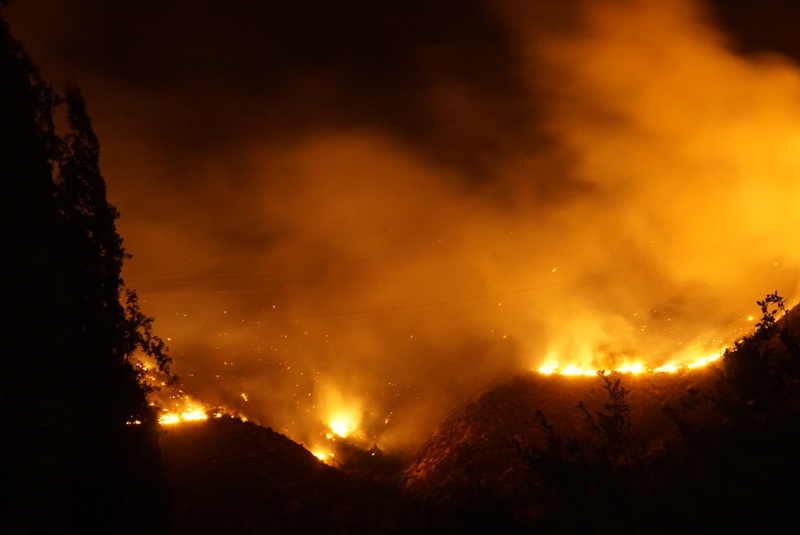 Castellnou says that at their peak, wildfires burned at a rate of 10,000 hectares per hour over seven hours. Wildfire experts say that climate change, causing a long-term rise in temperature and less rainfall, is creating unprecedented flammable conditions that are making forests burn with more intensity. Wildfires now occur in the wintertime and affect regions in latitudes beyond the fire season-prone countries of Spain, Greece, Italy, Portugal and France. Castellnou says that wildfires are expected to affect highly populated areas like central Europe. “Last summer, it was the first time in history we were having wildfires in (nearly) every single country in Europe,” he said. According to experts, urbanisation and poor forest management for reducing fuel – the grasses and shrubs that fires feed on – are also to blame. David Caballero, who also spoke at the security research event, assesses the wildfire risks in populated areas, focusing on the wildland-urban interface, where infrastructure and urban development intermingle with forests and other wildlands. He is contributing to a project called Clarity that is working to join up different IT systems to protect cities and infrastructures from the effects of climate change. He says we’re seeing more fast-growing, high-energy fires affecting populated areas. “We have to be prepared. Whenever we have forest in Europe, we eventually will have forest fires,” he said. He travelled to the seaside village of Mati, Greece, in the immediate aftermath of Europe’s deadliest wildfires last year which killed 99 people in the region of Attica. Speaking to firefighters and survivors, he learnt that many people did not expect the fires to cross the highway that runs parallel to the coast. In the past the fires had halted at this point, but this time they leapt across, burning through Mati. “There was an enormous amount of fuel due to the lack of management for 40 years,” he said. The fires tore through the village and reached the coast in just 20 minutes. Caballero says that all along the Mediterranean coast, unregulated construction with little regard for safety and evacuation routes and lax vegetation management mean that more places are at risk. He says local and regional authorities can no longer afford to be negligent. ‘We are living surrounded by fuel,’ he said. Pau Costa Foundation, established to speed up the sharing of information and know-how between fire services and society, works on a number of prevention campaigns. For a project called Heimdall, set up to contribute to an EU-wide information system about fires and other emergencies, the foundation is ensuring that the general public has a voice in shaping it. One of the foundation’s aims is to change the social perception of wildfires. A tendency to fight every fire, small or large, has let landscapes thrive artificially, Castellnou says. “Not all fire is bad,” he said. By clearing old trees, fires can make way for the growth of new forests that are adapted to climate change. Smaller fires, through activities such as prescribed burning, also have a role to play in creating scars in the land which break up a bigger fire’s path. “A mosaic of landscape of different ages and low-intensity fires is the best protection against the big fires,” he said. Oriol Vilalta, director of the foundation and a volunteer firefighter, says with wildfires killing more people in Europe, causing more than 200 deaths in the past three years, it’s time we learnt how to coexist with them. “We need to create a culture of risk. The Japanese know very well what to do in case of an earthquake, but we don’t know what to do in Europe with fires,” Vilalta said. The research projects in this article are funded by the EU. If you liked this article, please consider sharing it on social media. Create an EU-wide programme to teach people how to live with wildfires and manage landscapes, similar to FireSmart in Canada or Firewise in the US [Don’t look to the USA for expertise, we do not have it. One of the biggest problems we have is the lack of removal of “fuel buildup”, the removal of dead trees. I am a hiker and I see this in every venue I have for hiking.]. Establish long-term or permanent research structures to understand our future with fire. Help municipalities, firefighters and communities work together to raise awareness and knowledge about wildfire risks and how fires behave. Reduce the vegetation that makes forests flammable [especially dead “fuel buildup”], so fire and rescue services have the capacity to fight fires. Create an incentive to clear vegetation, such as constructing buildings from wood or using biomass to heat public buildings and hospitals. In the case of a fire, provide clear information for residents about when to evacuate and when to stay in their homes. We may never be able to entirely predict earthquakes such as those that hit central Italy in 2016, but we could better assess how they’re going to play out by joining up data from different scientific fields in a new Europe-wide observatory, say scientists. In 2016 and early 2017, a series of major earthquakes rocked central Italy. In the hill town of Amatrice, one magnitude-6.2 earthquake devastated the town and claimed the lives of nearly 300 people, with hundreds more injured. Richard Walters, an assistant professor in the Department of Earth Sciences at Durham University, UK, has been studying a variety of datasets to understand how these quakes played out. He and his colleagues found that a network of underground faults meant there was a series of seismic events rather than one major earthquake – a finding that could help scientists predict how future seismic events unroll. ‘We were only able to achieve this by analysing a huge variety of datasets,’ said Dr Walters. These included catalogues of thousands of tiny aftershocks, maps of earthquake ruptures measured by geologists clambering over Italian hillslopes, GPS-based ground-motion measurements, data collected by a satellite hundreds of kilometres up, and seismological data from a global network of instruments. At the moment, this type of research can rely on having a strong network of contacts and disadvantage those without them. That’s where a new initiative called the European Plate Observing System (EPOS), set to launch in 2020, comes in. The aim is to create an online tool that brings together data products and knowledge into a central hub across the solid Earth science disciplines. ‘The idea is that a scientist can go to the EPOS portal, where they can find a repository with all the earthquake rupture models, historical earthquake data and strain maps, and use this data to make an interpretative model,’ said Professor Massimo Cocco, the project’s coordinator. At the moment, findings on solid Earth science at a European scale are scattered among a mosaic of hundreds of research organisations. The challenge is to incorporate a variety of accessible information from many different scientific fields, using a combination of real-time, historical and interpretative data. EPOS will integrate data from 10 areas of Earth science, including seismology, geodesy, geological data, volcano observations, satellite data products and anthropogenic – or human-influenced – hazards. It will help build on the type of data integration that happened after the Amatrice quake, in which the lead organisation behind EPOS – Italy’s National Institute of Geophysics and Volcanology (INGV) – was involved in coordinating and fostering data sharing. This included real-time data from temporary sensor deployments, as well as seismic hazard maps, satellite data products and geophysical data – leading to a first model of the quake’s causative source within 48 hours to aid emergency planning. So far, a prototype of the portal has been developed and it will now be tested by users over the coming year to make sure it meets needs. Dr Walters said that EPOS is right on time. ‘Projects like EPOS are especially timely and valuable right now, as many of the subdisciplines that make up solid Earth geoscience are entering the era of big data,’ he said. The eruption of Icelandic volcano Eyjafjallajökull in 2010 highlights another issue that EPOS is hoping to improve – the challenge of coordination across borders. Though this event did not cost human lives, it had a much wider impact in Europe, leading to flights being grounded throughout the region and costing airlines an estimated €1.3 billion. In such cases, said Prof. Cocco, it helps to know factors such as the ash’s composition, something that affects how a plume travels but is not necessarily included in the models of meteorologists. That knowledge could be gained through access to volcanology data, and also used by aviation authorities and airlines, potentially to design systems to protect engines. Prof. Cocco said the idea is that EPOS could also be used by people outside the research community to ‘increase the resilience of society to geohazards’. An engineer or organisation could use data on ground shaking or earthquake occurrence to aid safe exploitation of resources or evaluate risks in building a nuclear power plant, for example. At present, the EPOS community comprises about 50 partners across 25 European countries, with hundreds of research infrastructures, institutes and organisations providing data. The organisation has, meanwhile, submitted a final application to become a legal entity known as a European Research Infrastructure Consortium (ERIC), with a decision establishing the ERIC expected within the next two months. This official status will aid integration with other national and European organisations, and have benefits in the allocation of funding, said Prof. Cocco. The implementation phase of EPOS is being part-funded by the EU. If you liked this article, please consider sharing it on social media. For 50 years, astronomers have puzzled over strange radio waves and gamma rays thrown out from the spinning remnants of dead stars called pulsars. Researchers believe that these enigmatic, highly-energetic pulses of radiation are produced by bursts of electrons and their antimatter twins, positrons. The universe was briefly filled with these superheated, electrically charged particles in the seconds that followed the Big Bang before all antimatter vanished, taking the positrons with it. But astrophysicists think the conditions needed to forge positrons may still exist in the powerful electric and magnetic fields generated around pulsars. ‘These fields are so strong, and they twist and reconnect so violently, that they essentially apply Einstein’s equation of E = mc^2 and create matter and antimatter out of energy,’ said Professor Luis Silva at the Instituto Superior Técnico in Lisbon, Portugal. Together, the electrons and positrons are thought to form a super-heated form of matter known as a plasma around a pulsar. But the exact conditions necessary to produce a plasma containing positrons remain unclear. Scientists also still do not understand why the radio waves emitted by the plasma around pulsars have properties similar to light in a laser beam – a wave structure known as coherence. To find out, researchers are now turning to powerful computer simulations to model what might be going on. In the past, such simulations have struggled to mimic the staggering number of particles generated around pulsars. But Prof. Silva and his team, together with researchers at the University of California, Los Angeles in the United States, have adapted a computer model called OSIRIS so that it can run on supercomputers, allowing it to follow billions of particles simultaneously. The updated model, which forms part of the InPairs project, has identified the astrophysical conditions necessary for pulsars to generate electrons and positrons when magnetic fields are torn apart and reattached to their neighbours in a process known as magnetic reconnection. OSIRIS also predicted that the gamma rays released by electrons and positrons as they race across a magnetic field will shine in discontinuous spurts rather than smooth beams. The findings have added weight to theories that the enigmatic signals coming from pulsars are produced by the destruction of electrons as they recombine with positrons in the magnetic fields around these dead stars. Prof. Silva is now using the data from these simulations to search for similar burst signatures in past astronomical observations. The tell-tale patterns would reveal details on how magnetic fields evolve around pulsars, offering fresh clues about what is going on inside them. It will also help confirm the validity of the OSIRIS model for researchers trying to create antimatter in the laboratory. Insights gained from the simulations are already being used to help design experiments that will use high-powered lasers to mimic the huge amounts of energy released by pulsars. The Extreme Light Infrastructure will blast targets no wider than a human hair with petawatts of laser power. Under this project, lasers are under construction at three facilities around Europe – in Măgurele in Romania, Szeged in Hungary, and Prague in the Czech Republic. If successful, the experiments could create billions of electron-positrons pairs. But there are some who are attempting to wield matter-antimatter plasmas in even more controlled ways so they can study them. Professor Thomas Sunn Pedersen, an applied physicist at the Max Planck Institute for Plasma Physics in Garching, Germany, is using charged metal plates to confine positrons alongside electrons as a first step towards creating a matter-antimatter plasma on a table top. Although Prof. Sunn Pedersen works with the most intense beam of low-energy positrons in the world, concentrating enough particles to ignite a matter-antimatter plasma remains challenging. Researchers use electro-magnetic ‘cages’ generated under vacuum to confine antimatter, but these require openings for the particles to be injected inside. These same openings allow particles to leak back out, however, making it difficult to build up enough particles for a plasma to form. Prof. Sunn Pedersen has invented an electro-magnetic field with a ‘trap door’ that can let positrons in before closing behind them. Last year, the new design was able to boost the time the antimatter particles remained confined in the field by a factor of 20, holding them in place for over a second. But holding these elusive antimatter particles in place is only one milestone towards creating a matter-antimatter plasma in the laboratory. As part of the PAIRPLASMA project, Prof. Sunn Pedersen is now increasing the quality of the vacuum and generating the field with a levitating ring to confine positrons for over a minute. Studying the properties of plasmas ignited under these conditions will offer valuable insights to neighbouring fields. In June, for example, Prof. Sunn Pedersen used a variation of this magnetic trap to set a new world record in nuclear fusion reactions ignited in conventional-matter plasmas. He hopes that by producing electron-positron plasmas like those created by the Big Bang, it may be possible to sidestep this complication because electrons and positrons have the exact same mass. If they can be controlled, such plasmas could help to validate complex models and recreate the conditions around pulsars so they can be studied up close in the laboratory for the first time. 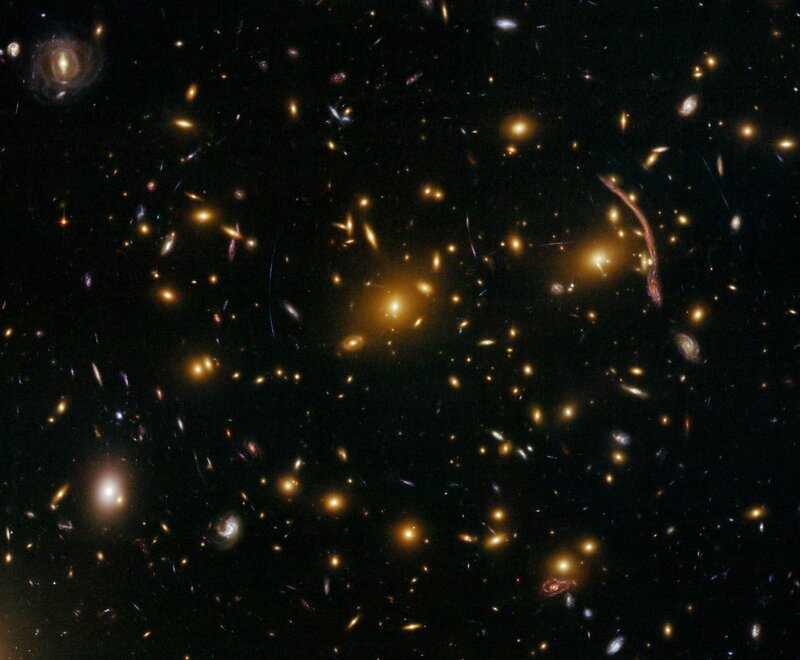 If successful it may finally give astronomers the answers they have puzzled over for so long. Space is not just a hostile place for life, but also for business. Building and launching a traditional bus-sized satellite tens of thousands of kilometres above Earth can cost hundreds of millions of euros, but thanks to miniature satellites, the economics are changing. Among the start-ups seeking new ways to tap into space’s potential is microsatellite manufacturer ICEYE. It aims to cut satellite prices to less than one-hundredth of traditional satellites, using a series of microsatellites partly built with off-the-shelf mobile electronics. 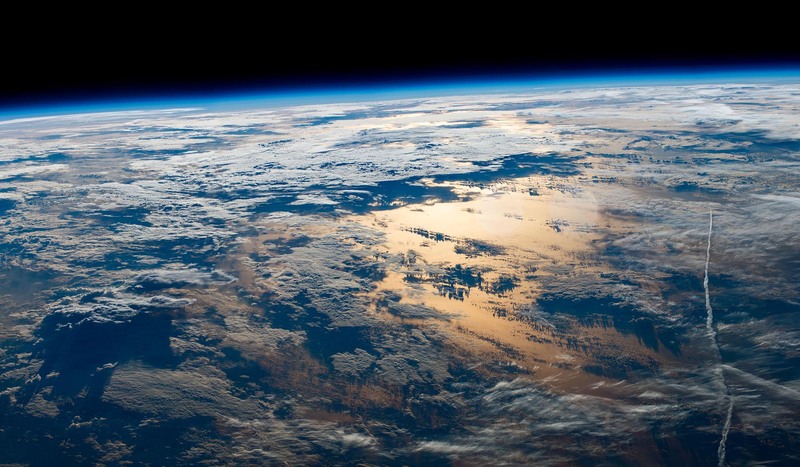 In January, the company sent what it described as the world’s first microsatellite based on synthetic-aperture radar – technology that allows satellites to see through clouds and into the dark – into a low-Earth orbit of about 500 kilometres. Suitcase-sized and weighing just 70 kilograms, ICEYE-X1 is the first of three satellites that the company plans to launch this year, with a goal of having 18 in the sky by the end of 2020. ICEYE says that gloomy conditions can make imagery using optical-based systems unavailable up to 75 % of the time, a problem their technology avoids. ‘That means you can image in any place in the world at any time,’ said Pekka Laurila, CFO and co-founder of ICEYE. At present, requests from companies for data can take satellite providers days to process, and are often updated only once every 12 hours. ICEYE believes it can get this down to two hours once it gets six microsatellites into the sky, and even further with more launches. 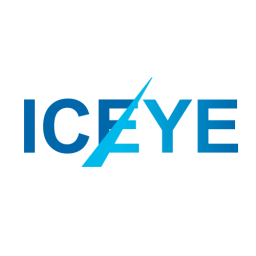 There are all sorts of areas in which this could be applied, from agricultural production to tracking climate change, but one of ICEYE’s key initial focuses has been ice surveillance for companies involved in Arctic operations – where vessels moving at several knots need rapid updates on ice-field movements. ‘That’s an area where continuous coverage is extremely important,’ said Laurila. The surge in data is driven by a range of factors, including more detailed Earth observation services. One way to process this increasing flow of information is to find better ways of getting satellite data back down to ground. At the moment, a lot of satellite data gets lost in transit to and from Earth, or ‘thrown overboard’, according to John Mackey, CEO of mBryonics, a technology development company based in Galway, Ireland. He coordinates a project called RAVEN, which is working to improve signal transmission. To do so, mBryonics is harnessing a technology called adaptive optics, which is used in telescopes to give astronomers clear images of stars by reducing the twinkle when viewing them through the distortion of Earth’s atmosphere. 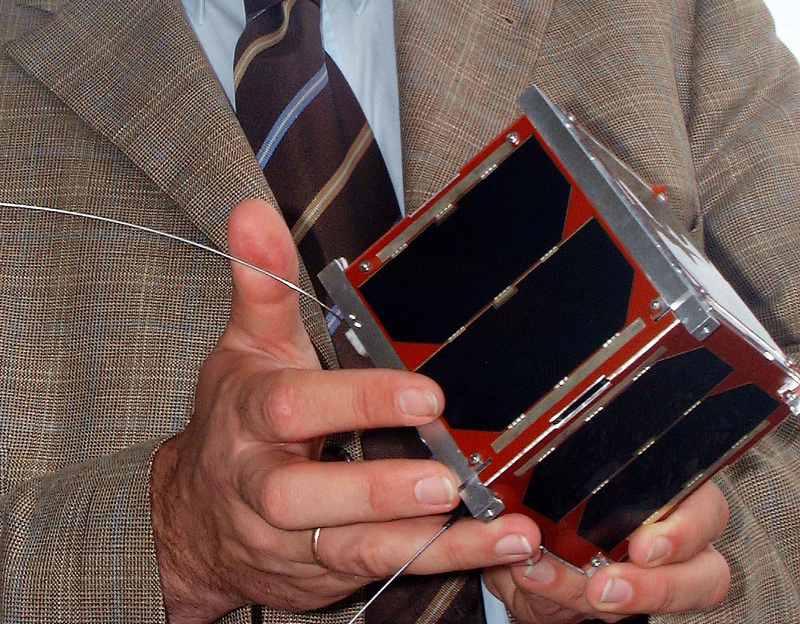 Adapting this technique to beam data up and down from satellites helps create a much stronger signal and a higher data rate by lessening such atmospheric interference, said Mackey. Moving this data faster could also help with a challenge facing future low-orbit satellites – seeing less of the Earth than those satellites higher up. Low-orbit satellites have a more limited line of sight to ground stations and therefore a smaller window to beam data down when they pass by – maybe just 10 to 15 minutes, said Mackey. Speeding up the data rate means they can transfer more during this period. Additionally, mBryonics is seeking to use its technology to create links between satellites, which could help create constellations to intelligently route data in the most efficient way possible. ‘Then, if I send my data up to the satellite, it can fire it across the satellite constellation and get me to my destination much faster,’ said Mackey. And not only can that cut the number of ground stations needed, but it could also help move the data faster and thus avoid big delays in providing costly satellite-related services. mBryonics is aiming to demo a full commercial system of its satellite technology within the next two years.